Dearest Loyal Reader,it’s exactly 1:51 AM. I can’t sleep. Today, my friend Huda and I met with 115 young in one of the refugee camps in Erbil; that is 115 stories, 115 eyes that write novels, 115 desperate young people who want to make something out of their life. Some we spoke to for 10 minutes, other just two minutes, all for a peer education course we are planning to run in coordination with START NGO very soon. I don’t know who to think of, the young girl who has 11 people in her family, one of her sister works and her father is disabled? Or the 16 year old who will get married soon? Do I think of the young boys who over and over said they are bored and there are no jobs or the girls who said their future is over and they dream of going back to their studies? Anyhow, life goes on. On a better note one of my good friends gave birth to baby Leen today. Leen means easy. I am going to take life easy. 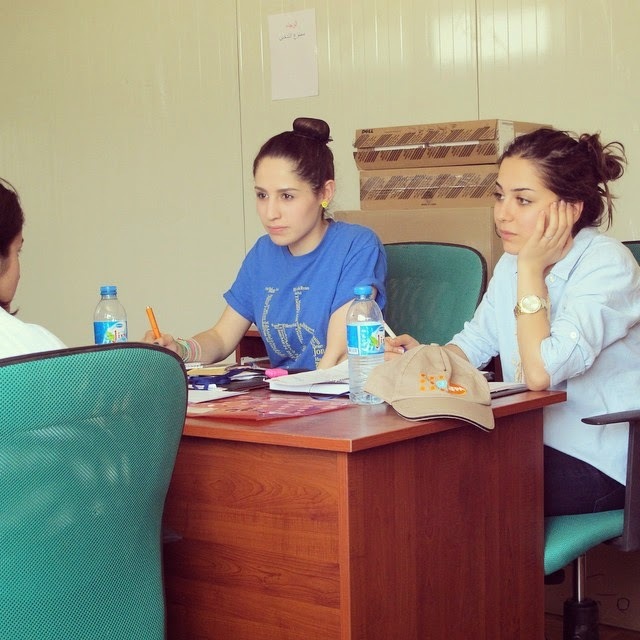 Sazan, you have to be strong to change the lives of 115 people in your journey through your Nest in Kurdistan.